...two agents do battle againt THRUSH! 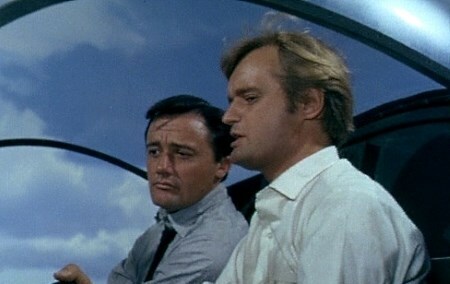 Napoleon Solo and Illya Kuryakin are two of the best U.N.C.L.E. agents assigned to defeat foe and organisations from anywhere on the globe. The organisation is headed by Alexander Waverly, a tough man, with expert leadership qualities. The United Network Command for Law and Enforcement, headquarters are situated behind the shield of a small dry cleaning shop in down town New York City. There purpose is to fight any person or organisation who want to steal secrets or vital weapons or take control of the planet. Their nemeses is an organisation called THRUSH. Napoleon Solo is the complete agent, skilled in the art of self defence and a crack marksman, a quick brain saves him on many occasions. A self confessed lady's man with natural leadership qualities. 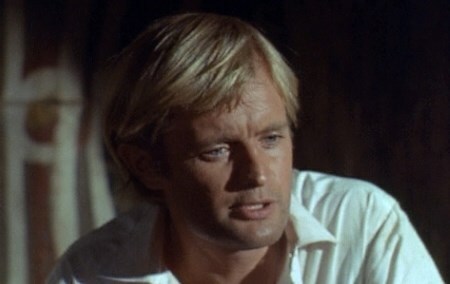 Illya Kuryakin is so different, that's why they work so well together as a team. A shy Russian agent, but is good on technical equipment, with great athletic abilities. The Man From Uncle was produced between 1963 and 1968 in the United States. Was so popular in this country, because it was like James Bond, but could be seen on the tele. Robert Vaughn and David MacCallum fitted so nicely into the agents shoes. There was great action and humour between the two. And on rare occasion's even Mr Waverley was in on the action. Five films was produced from the episodes and are now out on DVD. A fantastic tv series.